SACRAMENTO (Scrap Monster): The Sacramento City Council has voted unanimously to ban use of single-use plastic bags. 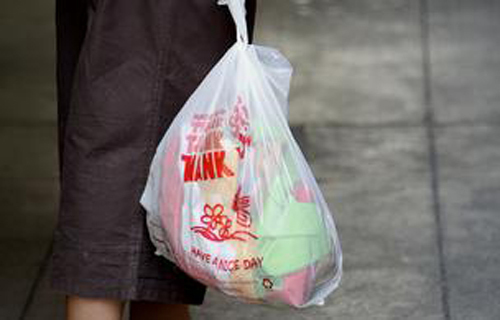 The ban, expected to come into effect on Jan 1st, 2016 will eliminate plastic bags from checkout counters of all groceries, pharmacies and convenience stores within city limits. The approval for the ban came in Tuesday’s Council meeting, where only two members raised opposition. Mayor Kevin Johnson, who supported the ban, stated that the City would go ahead with implementation of the ban, no matter what happens to the bill proposing state-wide ban on plastic bags. The affected stores will be allowed to provide promotions for free reusable bags, but limited to 60 days per year. Once the ban is in effect, paper and reusable bags will be charged 10 cents fees. However, stores will be required to provide free reusable bags or recycled paper bags to consumers in the California Special Supplemental Nutrition Program for Women, Infants and Children (WIC). According to data compiled by City staff, nearly 14 million plastic bags are consumed in Sacramento every month. These bags are feared to pollute parks and rivers and pose threat to marine and human life. Although included in the curbside recycling program, these bags regularly clog the sorting machinery at recycling facilities. The city ban requires stores to maintain three years of sales records for paper and reusable bags. If the state ban passes the Nov ’16 referendum, it would supersede the city ordinance. Else, the city ban would remain intact.